Chaw’se Indian Grinding Rock State Historic Park in Pine Grove is home to the The Chaw’se Regional Indian Museum. Big Time brings together Indian families on the weekend following the fourth Friday in September for the annual acorn gathering. Sutter Creek is a short 15 miles / 22 minutes drive from Pioneer CA. Attending a Wedding in Pioneer? Make it a Romantic Getaway. Spring is upon us and with all the exciting activities that await, it’s a wonderful time to visit Amador County. 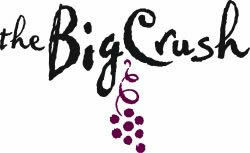 AFFECTIONATELY CALLED “THE BIG CRUSH” held each year during the first FULL weekend of October.